How old are you? / What year were you born in? What year were you born in? How old were you when you became an Arashi fan? I was born in 1974 (43 right now) and only became a fan in March of 2017. Japanese culture isn't easy to come across over here except for an anime once in a while. Sometimes I think I may be too old to be a fangirl, but whatever . I'm not going to stop just because of some silly number. ^ I think there is no age limit for fangirling! I was born in October 1 st 1990. I am 27 years old and I meet Arashi in the begining of 2011. I was 20 at that time and I fell in love with those five boys. Arashi isn't that much older than me. Jun is about 5 years older than me but I guess they are considered to be a generation older than me. It does make me feel a little better about fangirling over them a bit. I was born in 1976 making me 41. I became an Arashi fan in 2007-ish. I quit worry about being too old for this fandom when I was standing in the bus line in Miyagi next to a woman that had to be in her 70s. She was as happy as we were to be there and was talking about Jun non-stop! She was the cutest thing!! i became an arashi fan in 2007, a few months after i moved back to japan for work (left japan for work as well). they became my escape form a really demanding work and gave me a bit of balance (those who have worked in japan, particularly in engineering/manufacturing will know how crazy the work hours are there). arashi shukudai-kun was my entry into fandom during obon yasumi. did no know who they were but heck the show was funny. a couple of weeks later i got sick and took several days of leave . . . then found yamada taro that was when i actively tried to find out who they were. I was born in 1994. Mum was born in 1965 and she fangirls way harder than I do. Arashi seems to be loved by all generations. Born in 1990 so I'm 27. Came to know Arashi in 2006. Arashi really does seem to transcend generations. It's pretty cool. I was born in 96 and I’m 21 now I became a fan around 2008 when Hanadan aired here in my country. I am currently 28 years old. I was born in 1989. I first learned about Arashi in 1999, so I was 10 years old when we first met. I accidentally happened upon them and have been supporting them ever since. I was born in July 1990, 27 years old now. I was born in 1980, and became acquainted with Arashi in about 1999/2000. I'm born in 1984 so I'm 33 years old. I'm 28, born in 1989 (almost typed 1929 there, whoops, not quite ). I became a fan in 2009 but I fell off the radar for a bit between 2014 and now, keeping up only occasionally due to real-life dramas and changes. 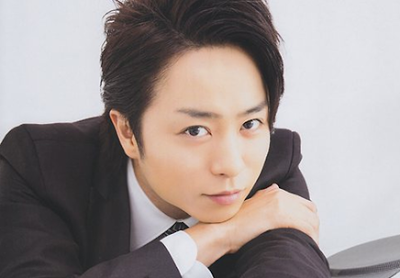 I was born in 1985, so I am 32 right now, so I'm only 2 years younger than Jun. So just a bit less old than the boys. I became a fan around the 5x10, which for me was a perfect time because just by listening to that, I could get a feel for all Arashi music.